Bring your next birthday party, corporate event, or community gathering to the next level with Gametruck Savannah. Our professional GameGoaches are ready to execute the party of your lifetime using the latest and most popular games and gaming consoles. 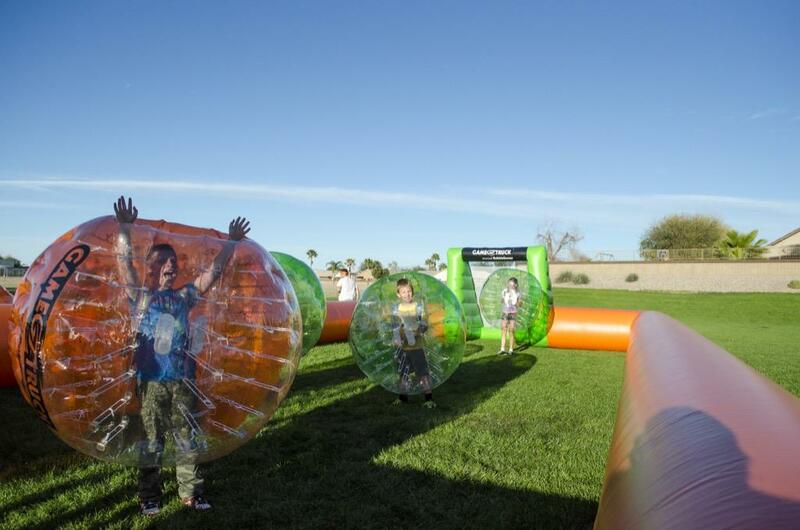 From new and classic video games to BubbleSoccer and LaserTag, we are proud to bring everything you need for an entertaining indoor or outdoor party. Ready for a fun and mesmerizing party? We are too. From Hilton Head to Savannah, and Richmond Hill to Brunswick let us bring the party to you! GameTruck brings state-of-the-art equipment, party favors, and excitement straight to your door! We are equipped with a wide variety of video games, video game consoles, LaserTag games, BubbleSoccer, and other indoor and outdoor activities – all provided our mobile gaming truck! Who hasn’t dreamed of having a video game party? Our GameTruck Video Game Parties are an easy and exciting way to tackle classic, popular, and new video games at your next birthday party or corporate event. Each GameTruck trailer is outfitted with state-of-the-art, HD flat panel TVs and can host up to 24 players at a time for simultaneous gaming action! We offer over 36 age-appropriate video game titles for our gaming consoles, including Xbox One, PS4, and Nintendo Switch. All events are customized for your party’s needs, size, and location. Each party comes with your choice of digital or downloadable party invitations, so you can get your guests thrilled for the big event! Gameplex reinvents the party by bringing the fun your organization with convenience, flexibility, and involvement. Our GameCoaches go where no GameTruck has ever ventured ever before, from apartments, and clubhouses, to office buildings and conference rooms. With plug and play ease, Gameplex eliminates the need for a truck by bringing the fun to you – wherever you want, whenever you want. We go beyond the video games to bring you interactive LaserTag live you’ve never seen before. We’ll turn your home turf into a battleground with our outdoor LaserTag! GameTruck’s mobile LaserTag will convert your yard, playground, or park into a custom LaserTag arena, transforming your familiar surroundings into a tactical mission center! Host a LaserTag tournament in your very own LaserTag battlefield and bring video games to life in your own backyard. Choose up to 24 players for the ultimate outdoor LaserTag experience — and don’t worry, we’ll leave no trace. When the party is over, we’ll take the equipment with us. Nobody will ever know your home was a battle zone. Imagine being inside a giant bubble and bouncing around like beach balls while trying to score goals against your friends. 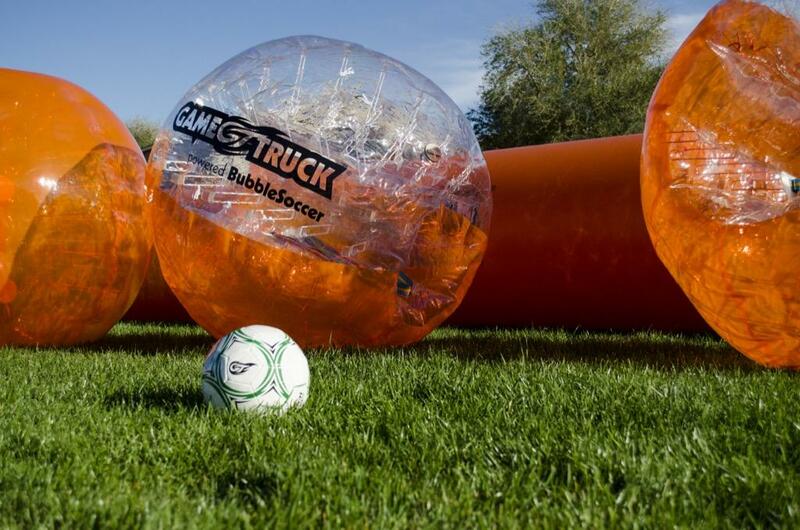 GameTruck will transform your yard or local park into a 25x50 foot BubbleSoccer Arena! With 24 bubbles in three different sizes, everyone is sure to enjoy this clumsy game of soccer! 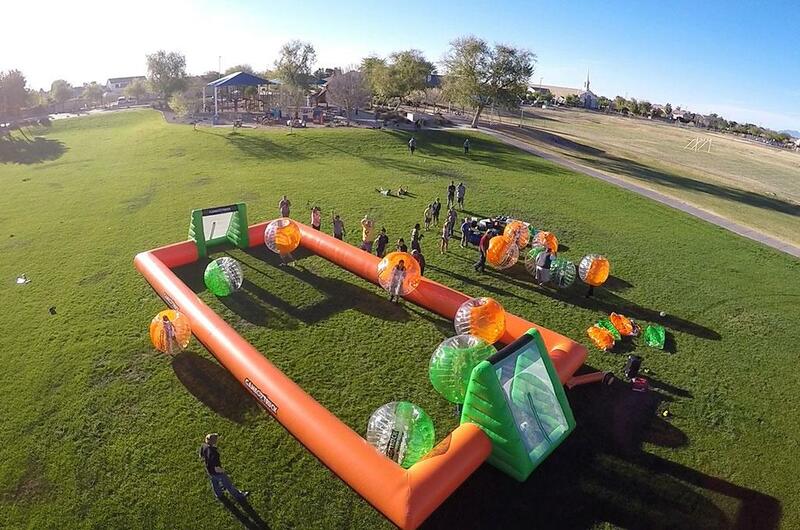 Perfect for any birthday party, school event, or team building activity, GameTruck Savannah’s BubbleSoccer will make your next event one that will go down in history! Want to plan the ultimate gaming party for the gamer in your life? Are you a supreme gamer who wants to show off your skills in a video game competition? We can help! GameTruck birthday parties are ideal for kids and adults of all ages. Our mobile video games for birthday parties and outdoor LaserTag activities are fully managed by our GameCoaches, so even mom and dad can sit back, relax, and game on. No matter how short or long your guest list is, GameTruck Savanah has you covered, catering groups of all sizes. From family reunions and graduation parties to company bonding activities and school events, GameTruck can entertain groups as small as 12 or parties for hundreds of guests. Gaming isn’t just for kids. We provide a full range of video games for adults, too! Choose GameTruck to host your next group party or team building event! With the newest video games, gaming consoles, and flat-screen TVs, we’ll provide you with a high-quality mobile gaming experience! No matter the age of your guests, we provide a vast selection of classic and modern video games, including Call of Duty, Sonic, Super Mario, Halo, Just Dance, you name it! And don’t worry about not having the right consoles, GameTruck brings the gaming consoles you need, including PlayStation 4, Xbox One, Nintendo Switch, and more! As Savannah’s premier mobile entertainment provider, we guarantee a joyful gaming experience that will make life-long memories. Turn up the fun with all your friends and let GameTruck make your next party one to remember! 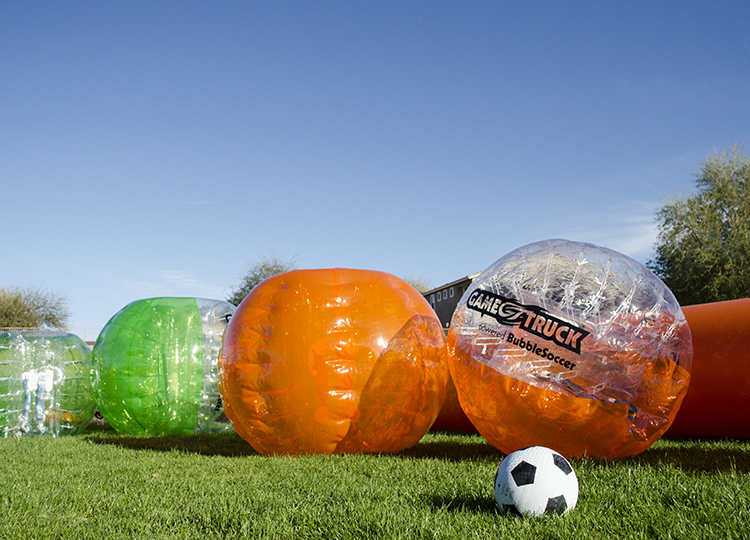 Host your next team building activity or group excursion with GameTruck! Build stronger employee relationships through a GameTruck event at your home or business! Our company bonding activities will create a positive, team-oriented environment where your business can come together to achieve victory through interactive video games, LaserTag, and BubbleSoccer. 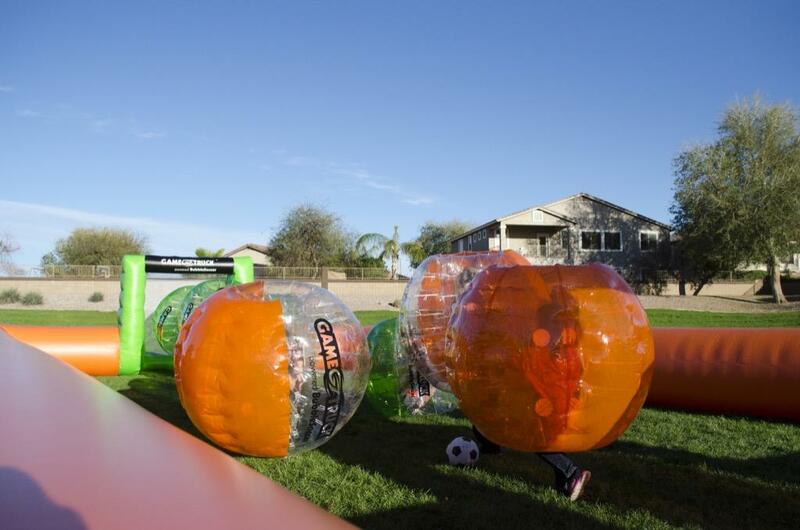 Bring some unique fun to your next corporate event and build some camaraderie! GameTruck Savannah has been delivering exciting events to the Savannah area since 2015. 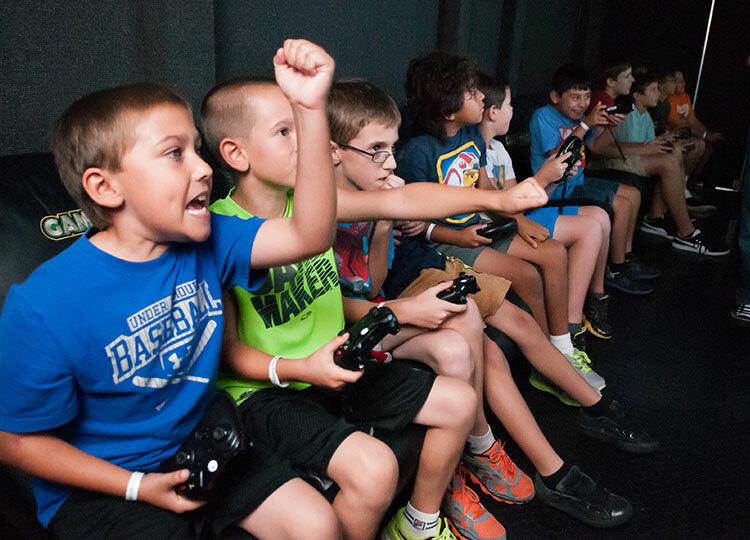 With Video Games and LaserTag, GameTruck Savannah offers unique and engaging entertainment that you and your guests will love. Our commitment to maintenance and reliability together with our team of experienced GameCoaches will leave you feeling stress-free and confident that all of your guests will have an unforgettable experience. Owner Brandon Walters personally oversees all aspects of business, making sure that you have the best party possible. GameTruck Savannah operates in Hilton Head, Savannah, Richmond Hill, Brunswick and surrounding cities. Brandon Walters, owner of GameTruck Savannah, personally oversees every one of his GameTruck Savannah events. Because he lives within the community, you may even catch a glimpse of him at your next GameTruck Party! Brandon’s professionalism and commitment to his community motivate him to work hard to guarantee that your party is in good hands! From event organization and route planning to emails and confirmation calls, Brandon executes everything with passion and professionalism. Because of this, you can be sure that he handpicks his team very carefully! Brandon’s team goes above and beyond to make sure your next mobile gaming truck experience is a successful and enjoyable celebration! From Hilton Head to Savannah, and Richmond Hill to Brunswick, Brandon’s GameTruck team will bring a fun and unforgettable party to your home or business. Let the ultimate party planners at GameTruck bring the fun to you! Ready to make your next birthday party or group event one to remember? Contact Brandon and the GameTruck Savannah team today! Events can be booked for any day of the week or weekend between 8am and 8pm, but we will also accept special requests. Honestly, I can't think of any way to make it better. Brandon, Katina, and Jordan were awesome! Great team! From day one this was a great experience. The representative who booked my party was very engaged in the details of my sons party and on the day of the guys just went over the top with excitement. I have approx. 5 guest that intend to use this GameTruck for their upcoming evens. Thanks a million to the whole staff and I'll definitely be using you guys again next year, if not sooner. I do not have any recommendations for improvements. I recommend this crew to anyone who desires a GameTruck experience!!! It was awesome and amazing. I don't have any suggestions to improve it. I hired the GameTruck for my daughter 5th Grade end of the year Celebration party at May Howard Elementary and the kids absoutley loved it!!! The girls and boys both loved it. Highly recommend this company for any event! We booked the Game Truck for our school's Field Day. The students loved the experience as did our parents and staff. The representatives were professional and kind. I would recommend this company to anyone looking for an exciting addition to their party! Exceeded expectations. We were well pleased. Blessings on all your future endeavors. Everything was wonderful! I have already recommended it to several family & friends!